Cold Blue Nights from The Fly Collective on Vimeo. The Blue River in Colorado is a unique tailwater for trout anglers. One of three rivers in Colorado that has a reservoir or lake-fed spillway into the river that discharges mysis shrimp. Mysis shrimp are a freshwater shrimp that are full of nutrients that offer many trout in the Blue River a constant hatch (of sorts). Thus, there are many monster trout in the Blue, often with magnificent colors (from the nutrients), and opportunities for huge fish in interesting places (ie right below the dam or behind the J. Crew outlet. Taking a different approach altogether, Russell Schnitzer and Ivan Orsic (The Fly Collective) have captured fly fishing the Blue River at night in a great new fly fishing film. 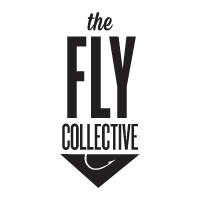 Enjoy the trailer above and to check out more from The Fly Collective, please click here. Denver is almost the starting point for the world-class fly fishing that Colorado is known for. Running through downtown Denver is the South Platte River – a prized tailwater that serves trout and carp anglers in and near Denver and also provides extraordinary fishing in more mountainous locations southwest of Denver. Access spots such as Deckers and the gorgeous Cheesman Canyon tend to draw many anglers, while there is also highly regarded private water along the South Platte. Further south, the Arkansas River offers a great deal of public access in diverse settings as well as opportunities for both walk and wade and float trips. And just west of the Arkansas flows the Gunnison River – famed for its gorgeous Gunnison Gorge and for spectacular float trips and salmonfly hatches. Among many, two other rivers that attract raft and drift boat action are the Colorado and Roaring Fork Rivers. Meeting the Colorado in Glenwood Springs, the Roaring Fork offers easy access in its smaller sections closer to Aspen and opportunities for wading and floating as the river widens through the Roaring Fork Valley. Float trips on the Colorado River take anglers through seemingly endless miles of trophy trout water and through much of the state that is otherwise hard to access by foot. The Taylor, Frying Pan, and Blue Rivers are tailwaters that offer anglers a unique opportunity to catch exceptionally strong (and often magnificently colorful) trout that reach often unbelievable sizes. Due to the constant supply of food and nutrients by way of mysis shrimp that flow through the spillways of the dams on the rivers, these trout are often both big and beautiful. Rocky Mountain National Park includes everything from the Big Thompson River to several creeks and lakes in a setting that often promise both great scenery and run-ins with big game animals. And throughout the rest of most of the state, anglers can choose from some of the best rivers on earth, including the Yampa, San Juan, San Miguel, Cimarron, Animas, Rio Grande, Eagle and more. And for something different, lakes, reservoirs, and a range of backcountry waters provide additional opportunities.